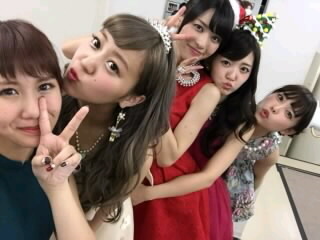 ← ℃-ute Yajima Maimi no Maimi~ Xmas! Maimi enjoys the Christmas season to the fullest with Christmas events and Christmas lights in her December 21st update “Received happiness ( ´▽ ` )“. Full translation below. Posted on December 24, 2014, in Blog, Translations and tagged Yajima Maimi. Bookmark the permalink. Leave a comment.